To hold a critical product leadership job at a global enterprise applications company, one should possess certain attributes. Intelligence, collaboration skills, and unwavering calm under pressure are critical. 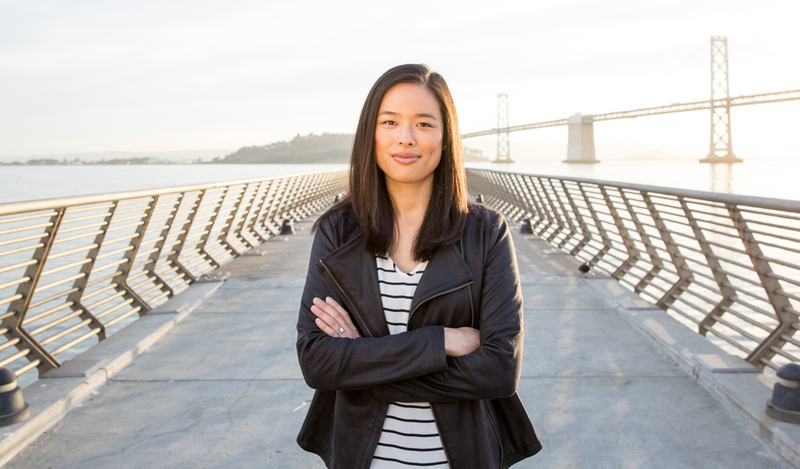 Erin Yang has all of those, plus another that’s especially important to her job as senior director of technology product management at Workday: an innate ability to see the big picture. Yang’s team is responsible for product management of the technology platform for all Workday applications, including the business process framework, in-memory architecture, integrations, reporting and analytics, and security. Workday has two major releases each year, delivered to more than 925 customer organizations within hours, and smaller enhancements—delivered weekly—that build on customers’ experiences throughout the year. As a child she amazed her grandparents by taking apart their broken clock, sifting through dozens of small parts to find what was wrong, and putting it back together. This work requires looking at Workday products as a whole—the big picture—a talent Yang has been honing her whole life. As a young girl she would draw blueprints of buildings and how they should lay out. On a childhood visit to Taiwan, she amazed her grandparents by taking apart their broken clock, sifting through dozens of small parts to find what was wrong, and putting it back together. Outside of work, she’s the designated travel planner for adventurous vacations with friends to places like Alaska, Patagonia, Turkey, and hiking Peru’s Inca Trail. She surveys her traveling companions for input and then develops the itinerary. “At that point my friends just say, ‘We’re in,’ and then realize on the first day of the trip that we’re not only going to Argentina, we’re going to Chile, too,” Yang laughs. And that’s what Yang did, earning both her bachelor’s and master’s degrees in electrical engineering from Stanford University. After Stanford she worked several years as a consultant for Accenture Technology Labs; a great experience, she says, building tools and platforms to bring modern Web concepts to the enterprise. She then joined the startup social community Circle of Moms as a marketing and analytics engineer, gaining valuable experience and perspective from the consumer Web. Yang is very interested in the role of women in technology. She’s attended events featuring Yahoo! President and CEO Marissa Mayer. She’s read Facebook COO Sheryl Sandberg’s “Lean In” and found much she could relate to in it, such as the psychological phenomenon Sandberg refers to as “Imposter’s Syndrome,” when successful women have nagging doubts in their minds about whether they deserve what they’ve achieved. “What I learned from that book is to first recognize ‘Imposter’s Syndrome,’ otherwise it will build within you,” Yang says. Yang says that she had been interested in product management straight out of college, but found it a challenging field to break into. 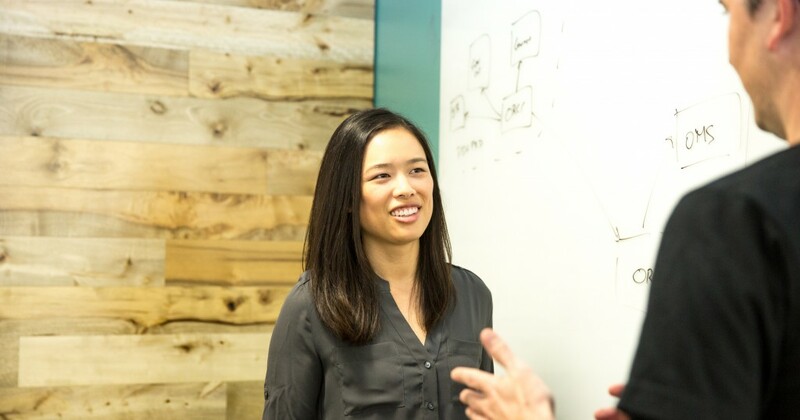 So in 2012 she founded the Rotational Technology Associate Product Management Program, designed for Workday employees who are technical, smart, and good problem solvers yet may not have prior product management experience. Members do rotations in different technology areas and then graduate into the team that fits the best. Yet mentoring has to start young, she says. “It is so critical to have programs that reach out to girls in high school and junior high school that encourage them to think they can do it and they have opportunities in the field—and that it’s fun!” Indeed, Yang believes strongly that despite the Bay Area’s reputation as a hyper-competitive and workaholic culture, there must be plenty of time for fun. In January, she and a team of co-workers and friends participated in a citywide treasure hunt the same day as San Francisco’s Chinese New Year Parade. The team (named “Goatye: Somebody that I Ewe-sed to Know,” a nod to the Year of the Goat) placed third out of 97 teams after successfully locating all 16 clues in 7 hours and 52 minutes. It’s Yang’s fourth year of competing in the treasure hunt. 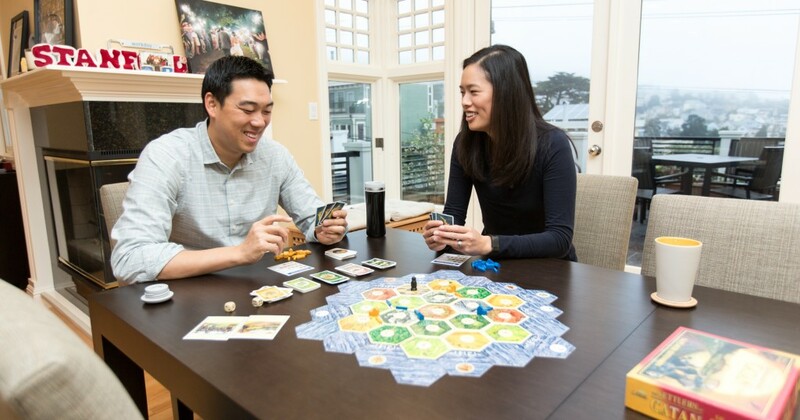 Yang is also big into gaming, but not in the digital sense: She and her husband often get together with friends for board game nights, including Settlers of Catan, Carcassone, and more recently, The Resistance.